Come see us in the Main Hall where our Team is available to answer any queries you may have! Finding the correct cable for your requirements can be difficult. We have put together a simple guide listing all the cables in our range. Click on the link below to download a copy. With the ULTRA.PLUS system, Walterscheid redefines the performance and quality of cardan shafts. The individual components, which have each been optimized for maximum functionality, add up to the best Walterscheid PTO shaft ever: for maximum efficiency, maximum service life and operational reliability, and unbeatable user-friendliness. For more information from Walterscheid, click here! Agri Forge plough parts are high quality, high wearing forged tillage components manufactured in Italy. 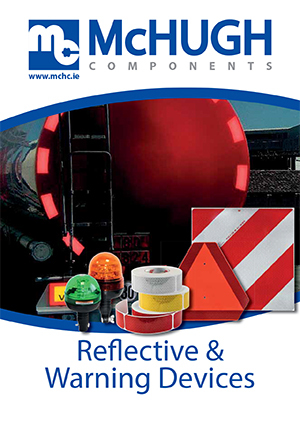 Available from stock from McHugh Components. 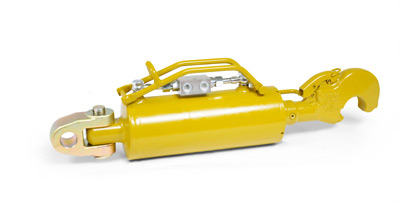 GKN Walterscheid engineers developed an innovative shock absorber mechanism which is directly integrated into the hydraulic cylinder and hence does not require any additional space - This innovative technology provides for markedly increased safety and comfort. During operation, the new hydraulic top link allows for considerable extra comfort. In addition, the desired damping rate can be adjusted to individual tractor-implement combinations. Impact loads caused by “bouncing implements” are isolated from the tractor. This results in a markedly improved driving performance due to optimising the ground contact of the front axle. In addition to improved driving comfort, real-world experience also has given clear evidence of reduced component wear. The new DS hydraulic top links with integrated shock absorbers are compatible and interchangeable with existing standard top links. They can be installed without additional components, and no additional space is required. Battioni Pagani's latest generation heavy duty pump comes with continuous operation at max vacuum thanks to a double cooling system - a combination of water & air injection. 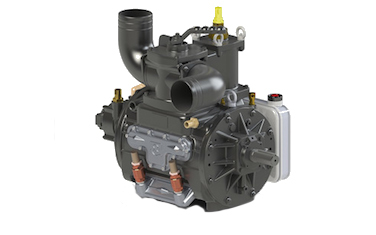 Despite its reduced weight and size compared to current pumps with similar airflow performances available in the market, it offers excellent top performances and increased structural resistance. Choosing the Hypro ESI gives the convenience of a compact nozzle without compromising fertiliser placement. The Hypro ESI nozzle applies fertiliser through six stable streams that are offset to give precise and even fertiliser distribution when the spray from each nozzle overlaps. 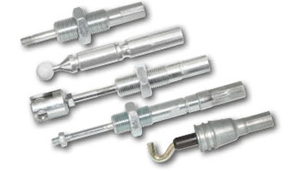 The ESI is built into a standard sized Fastcap to easily fit onto a rotating nozzle body, allowing straightforward selection and avoiding the risk of snagging and damage. Apply fertiliser to dry crops with moist soil, ideally in overcast conditions with light/ moderate rain imminent. Avoid applying during periods of heavy frost, heavy rain, in windy conditions, after periods of drought or shortly after spraying with crop protection products. Production volumes of Hypress 2SC hose have now surpassed that of 2SN making it more economical to produce and bringing the prices more into line. 2SC hydraulic hose has the same technical characteristics of 2SN while also offering the benefits of being a lightweight, more compact hose with improved bend radius. It can be used to replace any 2SN hose with the only physical difference being a smaller outer diameter. 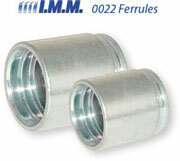 There is no need to change from your IMM 0022 ferrule, however you will need to adjust your after swage diameter. Please pay particular attention to the below after swage diameter information and ensure your Swaging Machine has the appropriate dies. 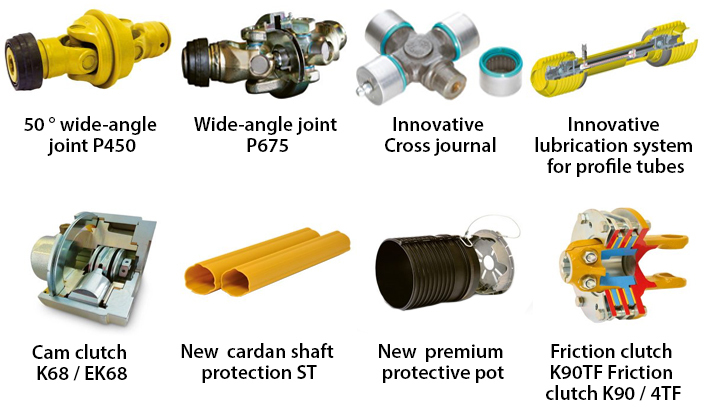 A Yellow label will be on any shipment of 2SC hose to remind you of the new after swage diameters. If you have any queries or need any further information please do not hesitate to contact your sales rep or a member of our internal sales team. Guardian AIR™ spray nozzles are scientifically designed finer Air-Inclusion nozzles proven to deliver improved performance in the field. They offer a balance of excellent target coverage with reduced spray drift that can be fi ne tuned by the user. Guardian AIR™ nozzles are suitable for a wide range of crop spraying applications and are available in seven sizes. Although already recognised as one of the world’s largest and leading bearing manufacturer and supplier, KOYO have taken major steps to increase its presence in both the Industrial OE and aftermarket business by making significant technological improvements on the standard radial bearing range. KOYO have developed and implemented improvements in both manufacturing processes and new steel specifications and this coupled with state of the art testing facilities have provided a much clearer comparison between actual and calculated bearing life. KOYO are proud to introduce a new dynamic load rating of 1.25 x C which now offers the longest service life (2 x calculated life) in the market today. Extensive field tests by the renowned specialist agricultural journal, “Top Agrar”, have very clearly come out in favour of the coupling ball bushes from GKN Walterscheid. “Cheap coupling balls look just like branded products and can cost less than half but this false economy can be highly dangerous”, concludes the report in July 2014. Cheap coupling balls often have a very high carbon content making them harder but also more brittle; this makes them highly susceptible to fracture when subjected to shock loads. The material used for the ball bushes from GKN Walterscheid has a low carbon content on the inside. In addition, however, it contains significant quantities of chromium and manganese thus ensuring the alloy is of a considerably higher quality, compared to other products. In contrast to the material on the inside, a relatively high carbon content is desirable for the outside of the ball bushes. A surface that is enriched with carbon in an elaborate heat treatment process is hard and correspondingly resistant. The ball bushes from GKN Walterscheid are characterised by precisely this combination of maximum wear resistance and a tough core. Ball bushes – and also ball guide cones – from GKN Walterscheid are thus extremely wear-resistant and therefore permit long-term, trouble-free operation. Detailed information is available through the RSA website, you can follow the links below for more details. 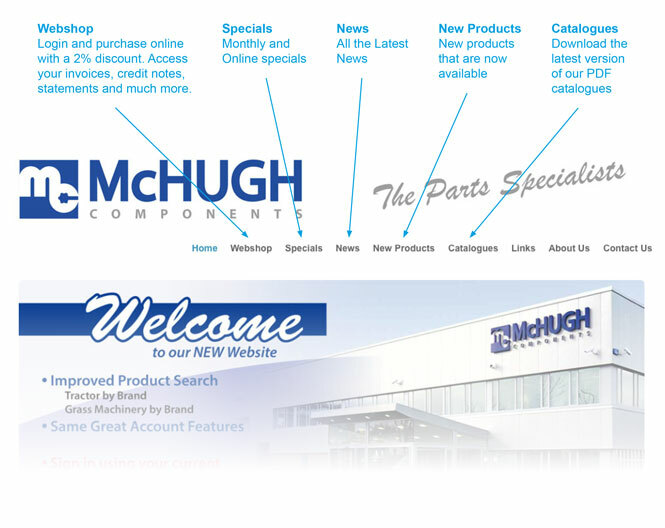 At McHugh Components we are constantly looking to improve our service to you the customer. Thats why we are happy to introduce our new and improved website, we have tried to reduce the clutter while still providing all the functionality you will need. We now offer a more user friendly product search with the introduction of two new categories, Grass Parts by Brand and Tractor Parts by Brand. You can use your existing Login ID and Password to access the Webshop and Specials sections of the site. Please note due to new EU regulation in regards to privacy we no longer offer the option to save your Login ID and Password. Most browsers now offer the ability to save passwords and login details. See the links below for more details on the three most common browsers. For additional information on navigating the site click on the Quick Guide button below or contact a member of our Sales Staff. Although we offer a very competitive single fixed rate of carriage regardless of the amount of orders sent in a single day, we appreciate that from time to time a small single order might be all that is required. So we are pleased to be able to now offer a new ONLINE economy service at a reduced rate. Please contact a member of our Sales Staff or your Sales Representative for further details. This is only available as on online service and must be chosen by you the customer. Total order weight must be less than 15kg and a cut off time of 2.30pm. Each order selected for this service will be invoiced separately and not combined with any other orders for that day. 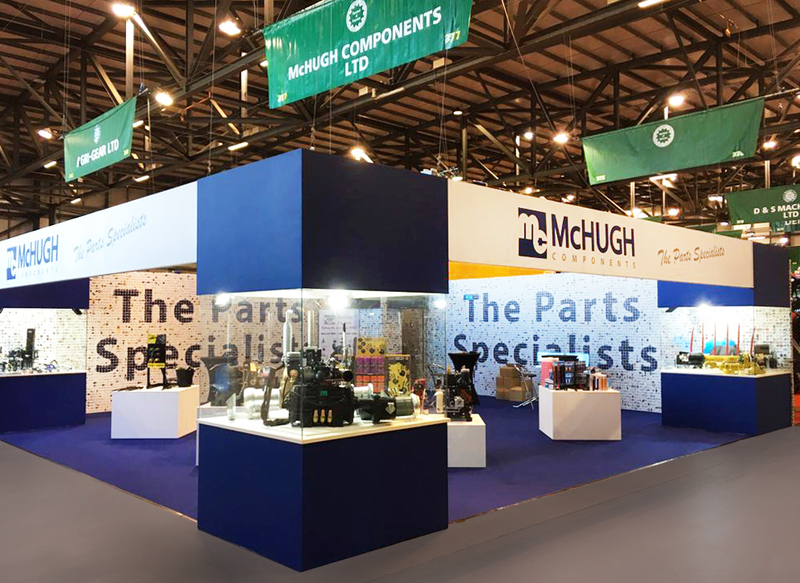 As the importer into Ireland and sole agents of GKN Walterscheid the original PTO Shaft manufacturers, McHugh Components feel it is important to get on record what is supplied with all of the Walterscheid PTO Shafts. Each shaft comes complete with the appropriate markings and stickers as well as a maintenance booklet, which contains fitting instructions and a copy of the CE Certificate. This is part of the requirements under the CE Certification. With the potential dangers involved in PTO Shafts we wish to encourage all dealers and end users to be vigilant in ensuring that their PTO Shafts have the proper CE Certification and documentation when they are buying their shafts and ensure that they are fitting and maintaining their PTO Shafts to the correct standards. You can be sure of the correct standards if you insist on fitting GKN Walterscheid PTO Shafts, the largest manufacturer of agricultural PTO Shafts in the world. The largest manufacturers of agricultural machines across the world insist on fitting GKN Walterscheid for a reason. It is important that the trade does not cut corners with regard to safety as people's lives can be at risk.